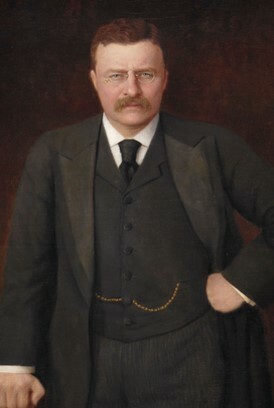 Teddy Roosevelt was President William McKinley’s Vice-President representing the Republican Party. Prior to this, he was governor of New York and political bosses hated him because he cleaned up corruption and pursued Progressive tactics. Many corrupt leaders in New York wanted him to be Vice-President, just to get him out of New York and into a position that, supposedly, had no power. President McKinley was assassinated by an anarchist, Leon Frank Czolgosz, in Buffalo, New York. McKinley was shot on September 6th, 1901 and died days later. Czolgosz was an anarchist who opposed the structure of the USA government and claimed McKinley mainly benefited the wealthy and big businesses. 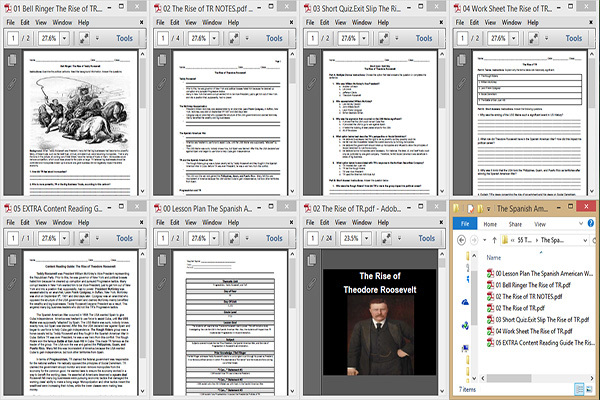 Teddy Roosevelt became President as a result. This angered many big business leaders who did not like TR’s Progressive tactics. The Spanish American War occurred in 1898.The USA wanted Spain to give Cuba independence. America was hesitant to use force to assist Cuba, until the USS Maine was supposedly “attacked” by Spain. The USS Maine was sunk, nobody knows exactly how, but Spain was blamed. After this, the USA declared war against Spain and began to use force to help Cuba gain independence. The Rough Riders group was a horse cavalry led by Teddy Roosevelt and they fought in the Spanish American War in Cuba. Before TR was ever President, he was a war hero from this conflict. The Rough Riders won the famous Battle at San Juan Hill in Cuba. This made TR famous as the leader of the group. The USA won the war and gained the Philippines, Guam, and Puerto Rico. Many felt this was inconsistent of America because the USA wanted Cuba to gain independence, but took other territories from Spain. In terms of Progressivism, TR claimed the federal government was responsible for the national welfare. He radically opposed the principles of Social Darwinism. TR claimed the government should monitor and even remove monopolies from the economy for the common good. He wanted laws to ensure the economy worked in a way to benefit the working class. He asserted all Americans deserved a square deal. Roosevelt felt many big businesses were pursuing economic tactics that damaged the working class’ ability to make a living wage. Monopolization and other tactics meant the wealthiest were increasing their riches, while the lower classes were making less money. The Sherman Anti-trust Act was supposed to stop monopolies from forming, but it was not enforced well. Teddy Roosevelt began to enforce the act to break up monopolies. In 1902, the justice department sued the Northern Securities Company for being a railroad monopoly. In 1904, the company was broken up and ceased to be a monopoly.